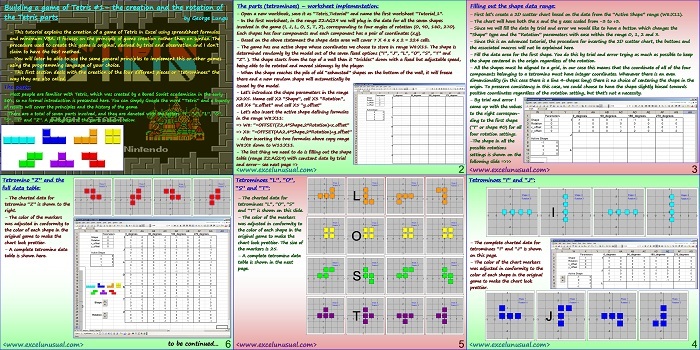 This is the first section of a tutorial about the creation of a Tetris game in Excel using mainly spreadsheet formulas and very little VBA. Check the security settings on the excel program. It should work. Luke, I will but don’t have a time line that yet. Any chance the next part of this will ever be published?